Welcome back to Monday Motivation! After sewing for some time, sewists run across ideas either on their own or they are offered up from friends or family. These are ideas that save time in your creative life. Discoveries in how to be more efficient are always welcome! 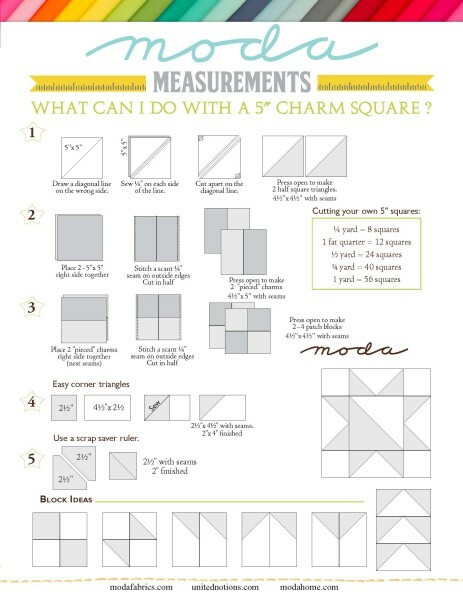 These little nuggets of wisdom present the opportunity for more time to sew! 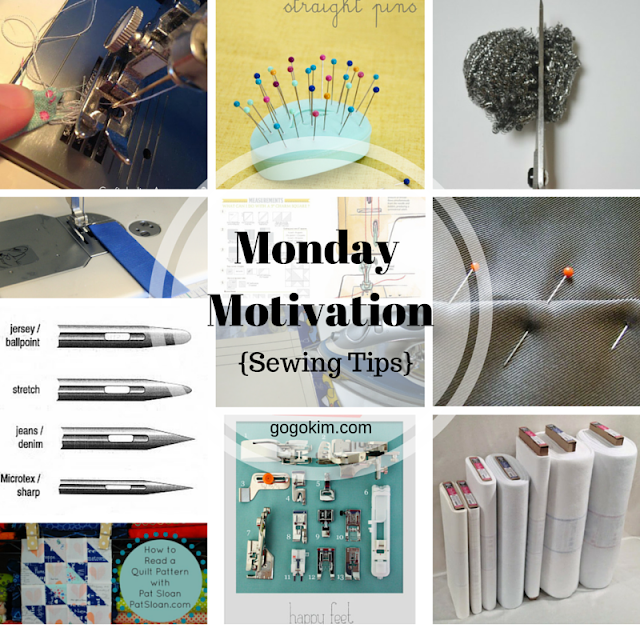 This week Monday Motivation is a collection of Sewing Tips to help free up time, save money and help you be more productive in your sewing! 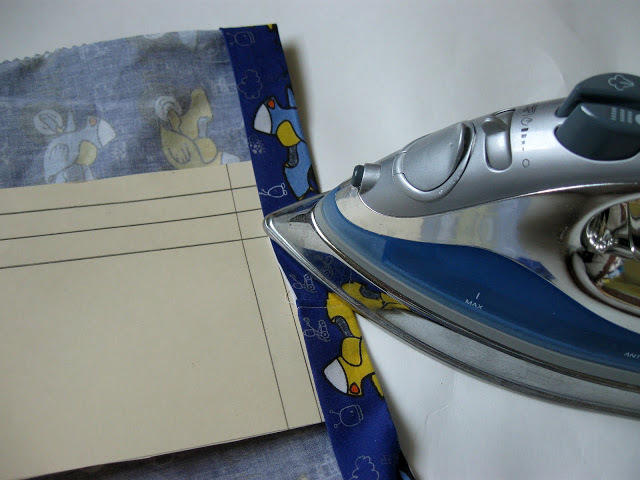 Using index cards or file folders to create the proper measurements for easy ironing is a great idea! Check out how this quick tutorial from Show Tell Share. 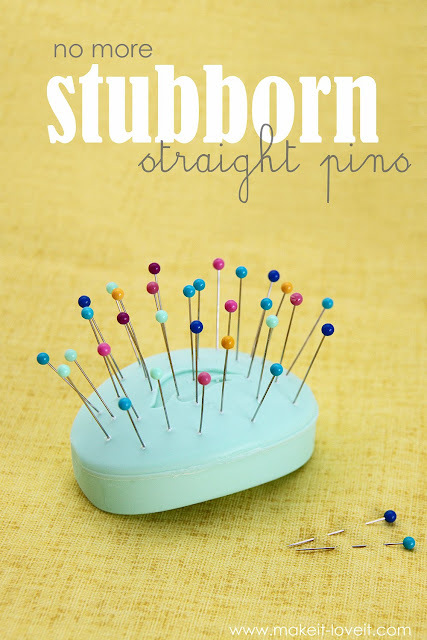 Straight pins can become not so easy to glide through fabric and that can cause frustration. I sometimes run them through my hair ( I trick I learned when I was cloth diapering my kids) to make them easier to use or here is another cool trick from Make It and Love It! 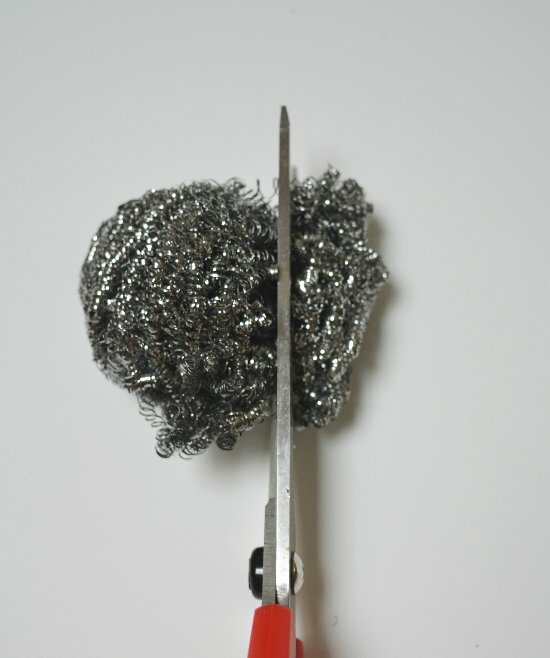 Need to sharpen your scissors or rotary cutter? So Sew Easy has a few tips on how to make your tools sharp again! Bobbin issues got you down in the sewing dumps? Craftaholics Anonymous has a troubleshooting list to help you be rid of bobbin woes! 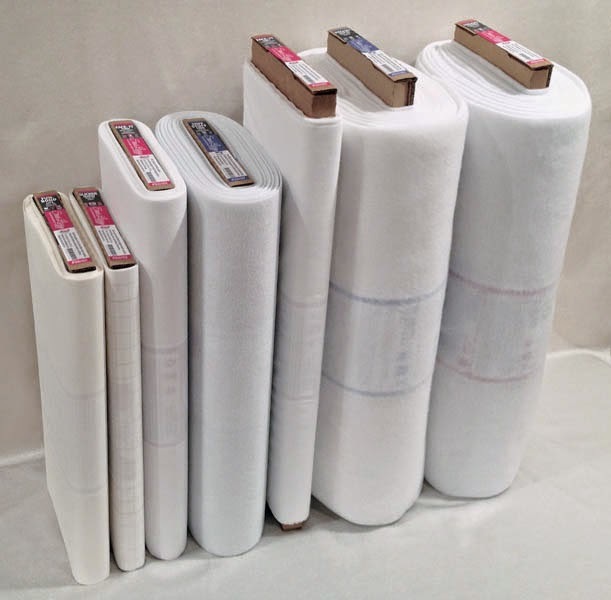 Not sure what interfacing or stabilizer you should be using for a project? Create Kids Couture has a good list of her favorite interfacings and stabilizers for different projects. Sewing machine needles come in many sizes and varieties. 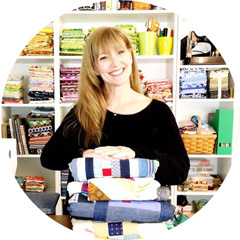 Heather from Feather's Flights gives the basics of what you need to know to choose the right needle for the right fabric! How do you know you have the correct seam allowance? 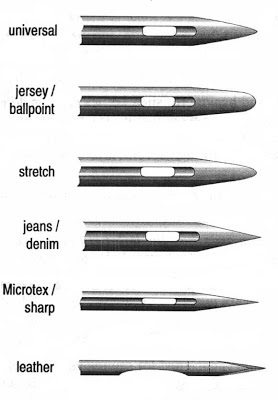 Depending on what you are sewing, seam allowance is critical. When making a quilt block, if your 1/4 in seam is not 1/4in, when you finish your block it will be the wrong size ( not fun!). 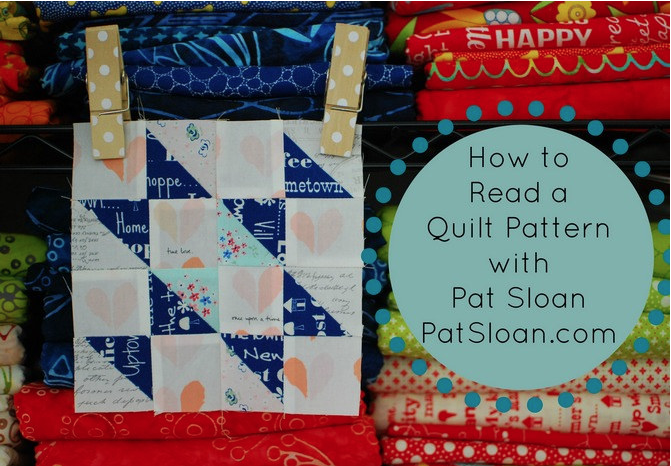 Stephanie from Late Night Quilter gave her tips on achieving an accurate and consistent seam allowance for Sew Mama Sew. You have two feet and your sewing machine has many many more! Do you know the names and uses for all of the presser feet that your sewing machine came with? 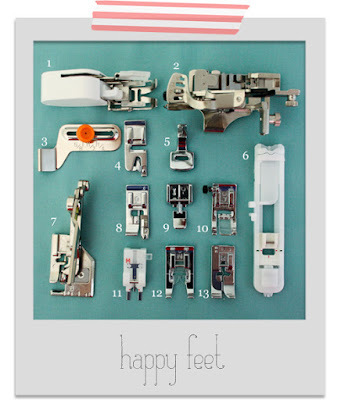 Raechel Myers has a run down of many of the common feet that are standard for sewing machines. The right tool for the right job is a common phrase that was used by my father-in-law who was a General Contractor. He was absolutely correct. This pule even applies to sewing pins. 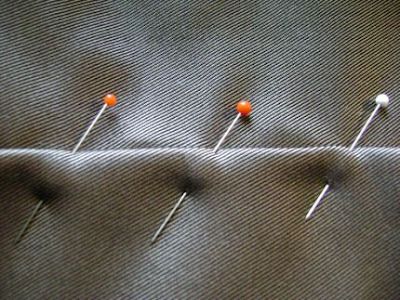 Threads has a wonderful article on How to Use Pins the Right Way. Moda has a collection of free cheat sheets full of great information from the best way to use precuts to how much batting you will need! 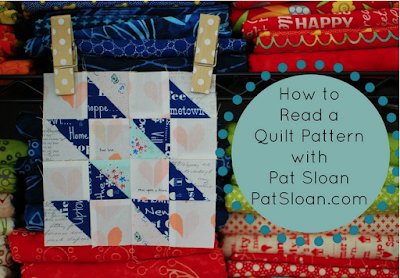 If you have never made a quilt, Pat Sloan has a wonderful post on How to Read a Quilt Pattern! Thread tension is always a hot topic! 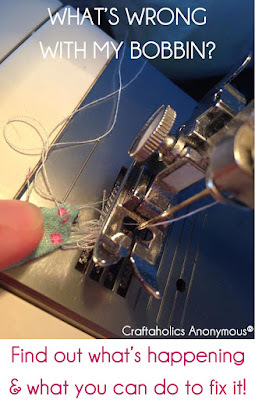 Understanding how the top and bottom threads work together to create perfect stitches is important. Threads Magazine explains how your machine works and what you can to to make those perfect stitches! Are there other tips you have that you would like to share? 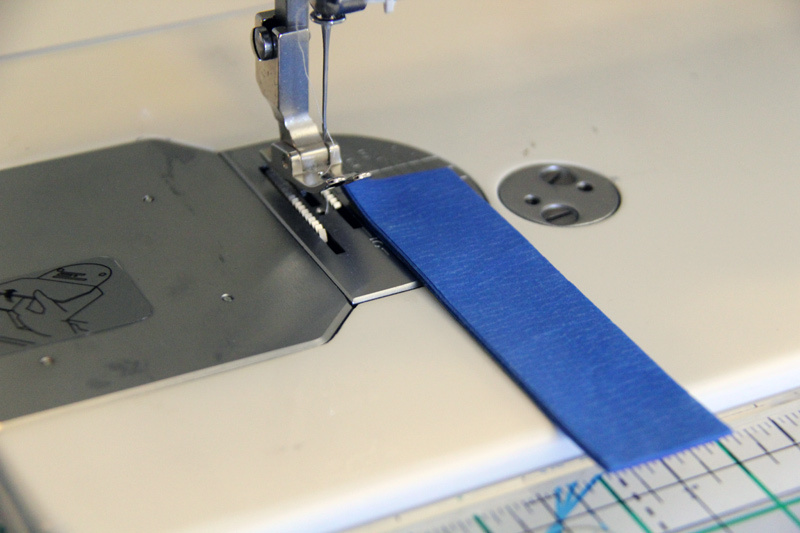 I love hearing about tips and tricks that can make sewing easier! THANKS for all this info in one place! Love your Blog! Want to Thank You too, for the neat Therm-o-web giveaway too!